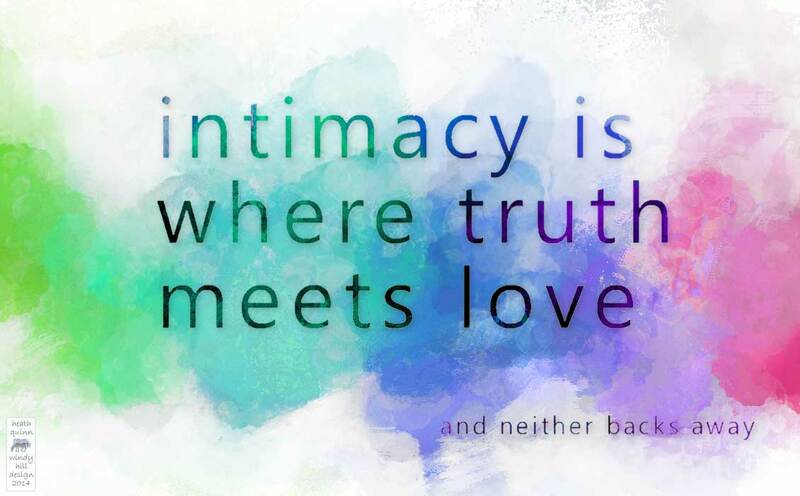 Someone wrote the other day (or I heard, somewhere) something like, “Intimacy is where truth meets love.” I can’t credit the thought, or say it just as I read or heard it. But I’m grateful for it. So here it is to share. Thank you, Anonymous. This entry was posted in later prose. Bookmark the permalink.